We're back.... Despite massive chaos and changes, we indeed are moving along with the show! As we return to Rata Sum! 25th Of April 7.30GMT, 8.30CET! Reminder the above is This coming Wednesday at 7.30PM GMT! Be in Soren Draa or be a 2-Dimensional Cuboid of equal planes! Looking foward to the event! Tonight! Soren Draa! Wrestling! Mayhem! Fun! In an hour and a half we return to Rata Sum for another bout of mechanised warfare starting at 7.30PM GMT, 8.30PM CEST! 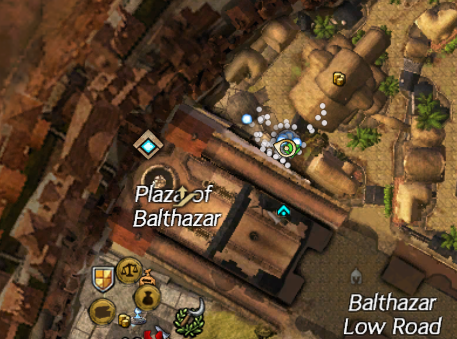 Find us near Soren Draa Waypoint! IP for tonight is 12.195.226.161:0! Update. Due to sharding the IP is now 18.195.86.139:0! What took so long? Simple. We wanted to do this sooner, but some of our team were busy and had health problems. In the end this is our fun, so it can wait for them to be well. So when is the next show? All things well, Wednesday 6th of june 7.30PM GMT, 8.30PM CEST! At the last show you said something about a rumble? That's right. At the next show I can now reveal we are doing our first rumble match, the Royal Decree Rumble! I god hope I don't get sued. I'm genuinely tempted to add a fair use for non-profit parody notice here. We'll be back in Divnity's Reach for this show, and you won't want to miss it! Two days to go as we wrap up our wrists, grit our teeth and get ready for the ultimate non-copyrighted totally original idea involving people being thrown out of something! Due to a Staffing Shortage we've moved the event to The Octagon of Blood and Stone behind Turai Tavern and will begin in Just under two hours from this post at 7.30 GMT Shard info to follow shortly!